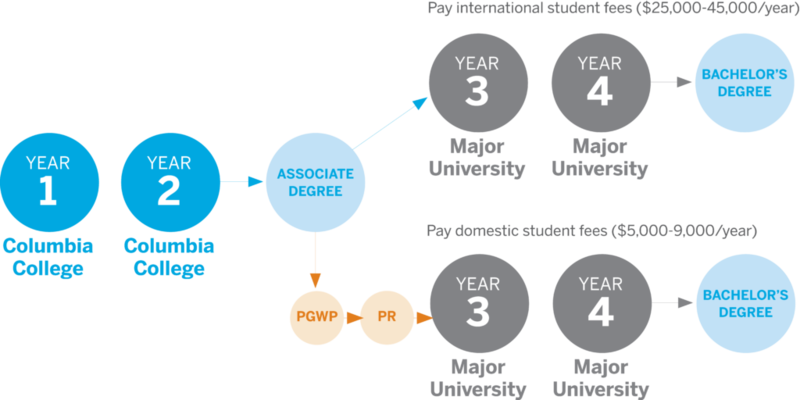 An Associate Degree is equivalent to the first two years of a four-year university degree. With an Associate Degree, you can enter into the third year of a university’s Bachelor Degree program. Two courses in first year English (one Composition course and one Literature course). Three courses in Mathematics/Science including at least one course in Mathematics, Computer Science or Statistics and one course in a laboratory Science. Twelve courses, including at least six at the second year level (in at least two different subject areas) in Social Sciences, Humanities and Arts. This must include two courses in Social Sciences, two courses in Humanities other than English, and eight additional courses in Arts. Three courses in Arts, Mathematics, Science or other areas. Two courses in Mathematics including at least one course in Calculus. Twelve courses, including at least six at the second year level (in at least two different subject areas) in Science including at least one course in a Laboratory Science. Two courses in Arts other than English. Two courses in Arts, Science or other areas. See the Columbia College calendar for full details of Associate Degree Program requirements for each concentration. Full-time post-secondary students in Canada have the opportunity to combine their studies with valuable work experience on or off campus. 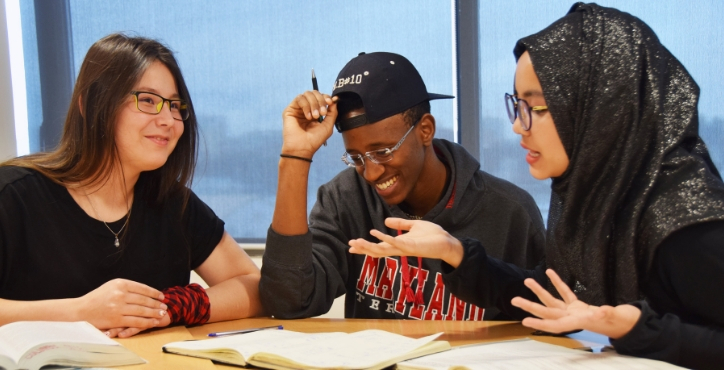 If you meet the eligibility criteria, your study permit allows you to work up to 20 hours per week during regular academic sessions and full-time between semesters. Columbia College regularly posts job opportunities on campus. Associate degree holders from Columbia College qualify for the post graduate work permit in Canada and can take the advantage of staying and working in the country after graduation. For more information about the post graduate work permit, visit our Immigration page.